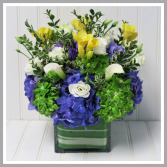 A vibrant arrangement with brightly colored flowers, expertly designed and tailored to your desired size. 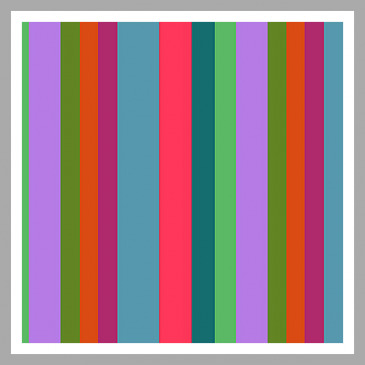 Leave it up to our professional designers to pick the cream of the crop for you. Please allow 2-3 days lead time for this special order arrangement. We will hand pick the best dutch hydrangea and yellow freesia at the flower market just for you. This arrangement also includes beautiful white mini calla lilies and lisianthus. Arranged in a modern class cube with leaf wrap and accented with variegated boxwood tips. 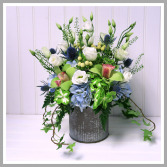 Good things take time, this arrangement is well worth the wait!! 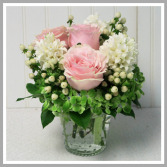 Pretty hobnail vase filled with pink roses, white hyacinth, hypericum berries, emerald green hydrangea and crisp lemon leaves. This arrangement smells as sweet as it looks!